GPs have a vital role to play in raising awareness of the dangers of asbestos exposure among do-it-yourself home renovators, says a leading family doctor. 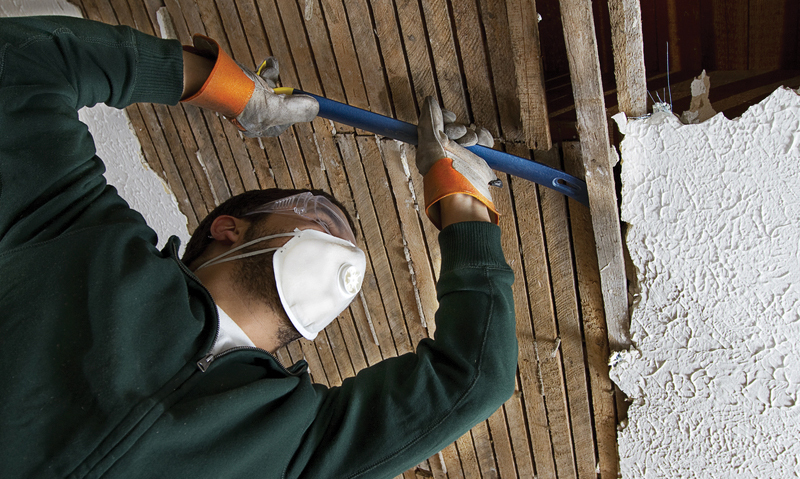 The research, conducted in NSW, found that self-reported asbestos exposure during do-it-yourself (DIY) renovations was common, as well as reported exposure of family members. Even basic precautions to protect against asbestos inhalation were not used in many DIY renovations. “I was really shocked to learn that Australia has the highest rate of asbestos diseases in the world”, Dr Randall, who is also the chair of the NPS Board, told MJA InSight. “Most GPs would not be aware of that. The MJA study, which included 3612 people who responded to a mailed questionnaire, found that of the 44.2% (1597) who had renovated their home, 53.7% (858) self-reported as DIY renovators. Of these, 61.4% reported asbestos exposure (contact with asbestos in fibro sheeting, insulation or other materials), 39.3% said their partner had also been exposed and 22.8% said their children had been exposed. “Only 12.0% of DIY renovators reported using respiratory protection regularly while 28.4% used this occasionally”, the authors wrote. Dr Randall said GPs “absolutely” had a role to play in raising awareness in the general community about asbestos exposure. “We’re often chatting with our patients about what they’re up to in their lives and certainly we can make sure they know the risks and take precautions”, she said. “The only cause of malignant mesothelioma is asbestos exposure. Is your home renovation exposure going to be the one that causes mesothelioma? “This is an avoidable thing — that’s the take-home message from this research”, she said. The research is a timely reminder that one in three Australian homes — about 820 000 residences — have been reported as containing asbestos products. However, he said the campaign needed to have much wider appeal through television or in newspapers to make people aware of it. Sean O’Sullivan, vice-president of investor and media relations with James Hardie, said the company was “always looking to do more” to raise awareness of the dangers of asbestos exposure during home renovations. “We’re also looking for other companies to get involved”, he told MJA InSight. “We’re only responsible for 16% of asbestos claims.